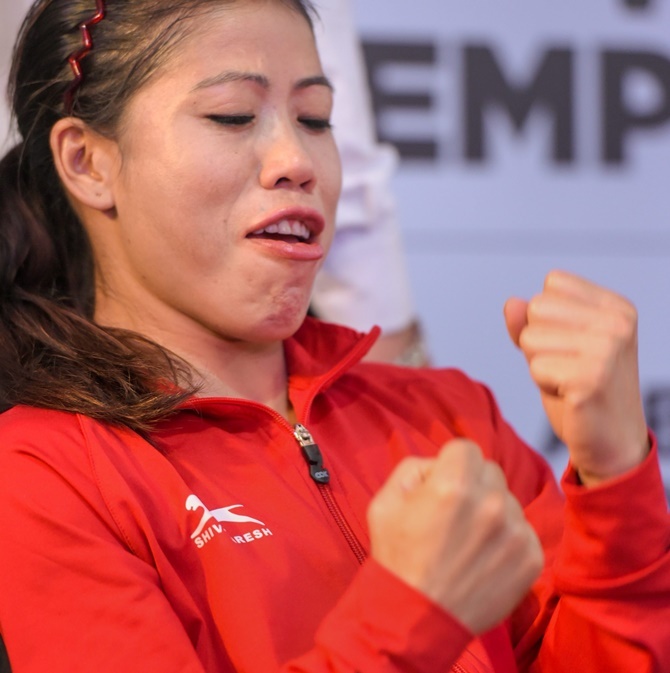 Five-time world champion Mary Kom has been named as the brand ambassador of the upcoming 10th edition of the International Boxing Association (AIBA) Women World Championship. The Olympics bronze-medallist, who will be eyeing sixth World Championship title and second gold at home since 2006 during the prestigious tournament, expressed delight over the same and assured that she would give her best shot. "This World Championship is special in lot many ways, I would definitely give my best shot and want to live the feeling of winning gold in front of the home crowd," the boxer said. Meanwhile, the Boxing Federation of India (BFI) unveiled the logo and anthem of the Championship. The logo, depicting 'fire and women's empowerment,' was designed to bring in the two key elements-the inner strength of a woman and the national colours-together to mark the occasion of India playing hosts to the championships for the second time in the country. Similarly, the theme of the anthem: "Make some noise, scream and shout! We are here to knock you out!!!" encapsulates the emotion that a boxer goes through when she takes to the ring. The logo launch event was attended by Indian Team members, led by Mary Kom, and dignitaries from the Sports Authority of India (SAI) and BFI, including its president Ajay Singh. Minister of Youth Affairs and Sports Minister, Rajyavardhan Singh Rathore wishing all the participants said, "It is with immense delight that I note the arrival of the Boxing World Championship to India. Our athletes, especially our women athletes, have defied all odds to excel in their sports, and women boxers of India are a testament to this. They have inspired not only upcoming sportspersons but women in general as well." "Such competitions, when held in India, will continually inspire and encourage our younger generations to include sports as a part of their lifestyle. Such events, thus, have the potential to change society completely, for the better. Ministry of Youth Affairs and Sports lends its wholehearted support to the championship, and wishes the organizers and participants all the best," he added in his good luck message to boxers. BFI President Ajay Singh, on the other hand, said, "It is a matter of immense pride and prestige for BFI that in a span of two years since its inception, we have been able to bring in the World Championship to India; we as a nation are strongly considered as one of the most promising boxing prospects in the world." "Our boxers in the last two years have not only won medals at major tournaments but also have shown their prowess on all big stages. I hope we will be able to repeat the feats at home when we start our Worlds' Campaign next month," he added. 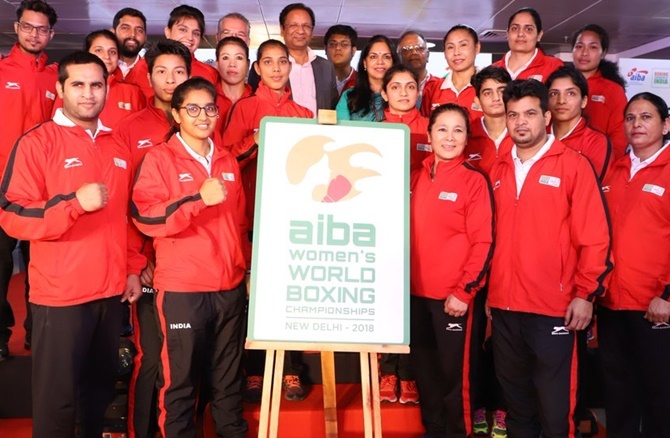 AIBA Women World Championship is slated to be held from November 15-24 in New Delhi. PIX: Tendulkar, Kambli seek Achrekar's blessings! PIX: Coach Shastri, Dhawan, Umesh pray at Padmanabhaswamy Temple!